How does negativity affect your child’s healthy development? It’s likely no surprise to learn that all of us have inner voices, private conversations we have with ourselves. Neuroscientists have discovered that those voices are naturally more negative than positive in tone. Unfortunately, children’s inner voices are particularly negative, usually driven by doubt, fear, and shame. For example, a child might wonder, “Does Brian like me? Of course he doesn’t. I’m not smart enough.” Another might think, “I’d like to hang with that group. But they’d never accept me. I like rap and they listen to rock.” These kinds of negative thoughts get repeated over and over again on a daily basis. Think about how many times children and teens hear the word “no” or experience negativity in their families or classrooms. This exposure to negativism is like second-hand smoke. According to neuroscientists, it produces stress chemicals in the brain. 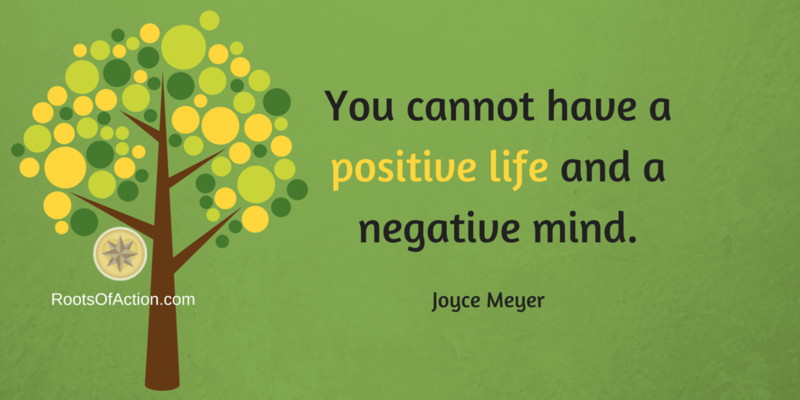 When combined with a child’s natural negative inner voice, this bundle of negativity can lead to poor mental health. While negativity is a natural part of children’s genetic makeup, the good news is that parents, mentors, and teachers can help change the balance toward the positive. By paying attention to how we communicate and understanding how children become positive thinkers, we can improve outcomes for kids. As I think back on that conversation, I feel Richard was wise beyond his years. He already understood what it has taken neuroscientists years to discover – that negativity is linked to increased stress and unhappiness and that positive words make a difference! Those positive words translate into optimism, belief in self, and hope in the future. Neuroscientist Andrew Newberg, M.D. and Prof. Mark Robert Waldman, authors of the book Words Can Change Your Brain, show how negativity and stress are related. For example, with just one flash of the word “no,” our brains release dozens of stress-producing hormones and neurotransmitters that create havoc with our normal functioning. When we speak negative thoughts, whether they are about illness, fear, worry, disapproval, or even a simple “no,” additional stress chemicals are released. And this doesn’t stop with our brains. The brains of those within earshot are changed too, causing anxiety and irritability in our listeners. As a result, trust and cooperation between people is undermined. And if not rectified, negativity can destroy family relationships and cause emotional harm. Barbara Fredrickson, a pioneer in the positive psychology movement, discovered how positive thoughts affect the brain. In her book, Positivity: Groundbreaking Research Reveals How to Embrace the Hidden Strength of Positive Emotions, Overcome Negativity, and Thrive, Fredrickson shows how to overcome our bias toward negativity by developing a 3:1 ratio of positive to negative thoughts. When we achieve this better balance, we are more likely to find ourselves in caring relationships and productive work situations. And by nurturing the ability to obtain this balance in our children, we are encouraging resilience – a powerful skill for a successful life. 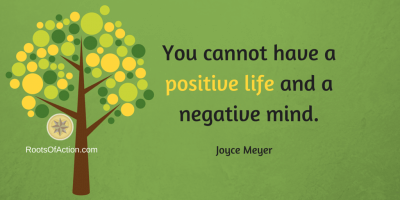 So how do we help kids achieve the optimum balance between negativity and positivity? How do we help them become positive thinkers? Taking time to be with family and friends and doing the things you enjoy helps deepen relationships. Encourage children to design a day with you or someone close to them that would make both people happy. At the end of the day, help them savor their positive experiences by reflecting on the things they most enjoyed. When children imagine themselves at their best, their confidence increases. We help children become their best selves by showing interest in them and the kind of young people they want to become. Especially at times when children feel good about themselves, help them recapture their thoughts and feelings. What feels good to them? Tell them what you noticed about them. Another aspect in developing best selves is by children becoming self-aware. Self-awareness allows children to see themselves as uniquely different from other people. They will come to know their own minds, feelings, bodies, and sensations, which leads to better emotional health and a positive outlook. When children learn to recognize and appreciate the good things in life, they develop satisfaction and a sense of optimism. In The Transformative Power of Gratitude, I outline five ways to nurture gratitude in homes and classrooms, including helping kids focus on the present moment and fostering their imagination. And when children are inspired to speak their gratitude aloud, it becomes even more powerful and transformative. Adults play a big role in how children perceive and respond to negativity. When communicating with children, research shows that by slowing down your speech you will produce calm feelings, particularly with children who may feel anxious or angry. Speaking slowly also deepens people’s connections, allowing them to better understand each another. Say “yes” whenever possible. If you can’t say “yes,” reframe your response to invite positive conversation. For example, if Susie asks to extend her curfew until 3AM, you might be tempted to say, “Absolutely not!” But instead of a quick, negative response, try asking a question to invite conversation on the topic. You might ask Susie, “If you were the mother, what would convince you to allow your daughter to be out that late?” You may or may not end up changing your mind, but you will engage Susie in meaningful conversation that will help her understand your decision-making process. And you’ll spare Susie’s brain and your own from some stress-producing hormones! Yelling and arguing produces harmful chemicals in the brain. If you feel frustrated with your child, take a deep breath and try to relax before engaging in conversation. Good eye contact and a warm tone in your voice send positive signals to the brain. Words and delivery are equally important when parents are engaged in conversations in front of children. And, of course, one of the best ways to encourage our kids to become positive thinkers is by modeling it ourselves. So try to find the cup half full and the silver in the lining. Be on the lookout for the bright side – and any other positive phrase you can think of! Your kids will do the same.